Brian Dettmer is a young American artist born in Chicago and now residing in Atlanta. 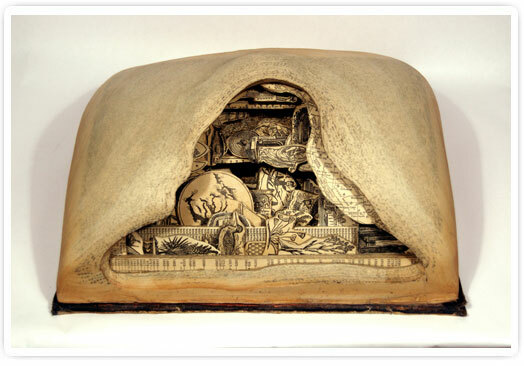 His work departs from existing objects, such as old maps, old picture books, etc., which are then completely re-interpreted by the artist personally. 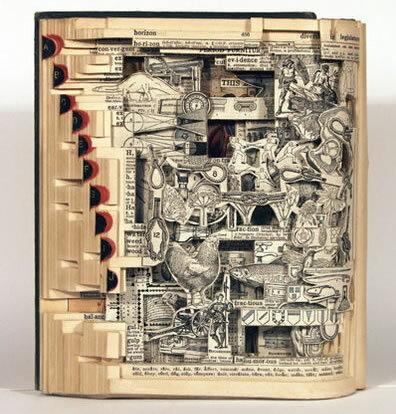 Thanks to instruments such as scalpels or knives, the artist made of real sections of these objects to create sculptures made by an accumulation of pages and illustrations that overlap one another. 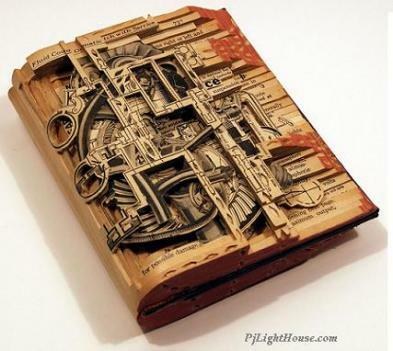 Thanks to the extreme precision of the artist, we have a totally new vision of these objects, such as books or boxes by now old and obsolete, they become real masterpieces. This artist also has a space on Flickr have to admire his creations, there are also numerous galleries that host their online spaces other works that were exhibited.